I've dismantled many hard drives and harvested the magnets from them. I've also removed the bearings from the arm which reads the platters. I've been told and seen on youtube that it should be possible to remove the bearings from inside the motor casing. (I've already removed the motors from the hard drive casing). 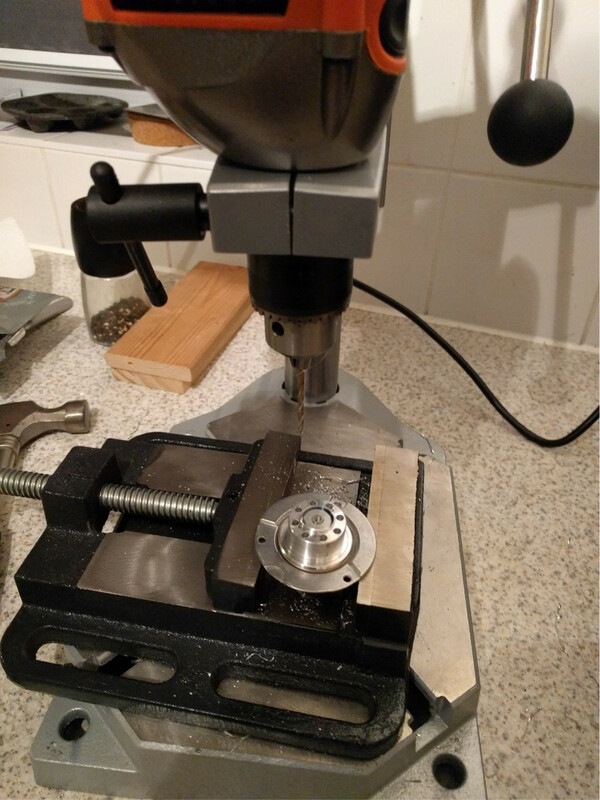 Suggested methods include hammering the pin from below and drilling out the screws but the motor casings seem to be welded or machine pressed in some way and neither of these methods have worked for me. I have searched extensively on forums, googled etc so am not looking for links but hoping to hear from someone who has actually done this. The reason for removing the bearings is so that I can use them on various hacking projects and for making my own tools. One example would be a blade guard on a jigsaw table. It will give you insight and knowledge about how to proceed in the future. Not the answer you're looking for? Browse other questions tagged substitute-tool technology or ask your own question. How can I remove the cork from a wine bottle when I don't have a corkscrew? How to make the lens from my glasses stop falling out? Easier way to remove the stem from a strawberry? How can I open an iPhone's SIM card slot without the included pin? How can I remove a stuck ethernet cable? How can I safely destroy a hard disk?